Fights broke out at a Fort Worth mall and other malls across the nation on Monday. More than 100 people broke into fights close to the Hulen Mall food court. 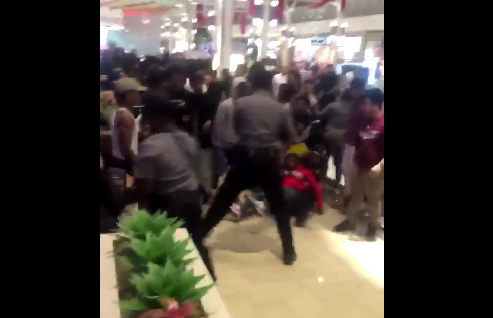 The day after Christmas more than 100 people at Hulen Mall in Fort Worth began brawling near the food court. Similar fights broke out at more than a dozen other malls all over the country. Police are wondering if social media may have played a role. Lana McGilvray, a principal at Blast Public Relations, says it’s possible.